Lots of people want to collect and share spatial data with each other. What they need is a simple way of creating the forms in which their data will be collected, and an easy-to-use tool to overlay the data on maps. 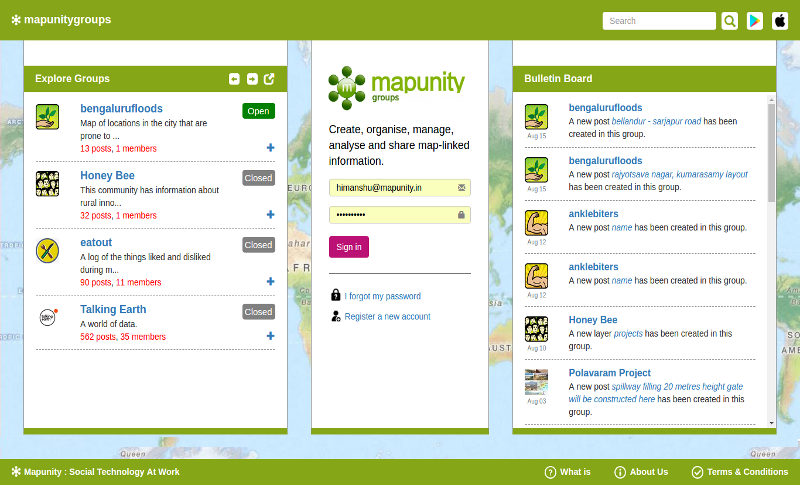 Mapunity Groups is the perfect tool for this. In just a few clicks, you can create your form, start collecting spatial data using it, and invite your friends and colleagues to join you. Visit the Groups web site for more information.